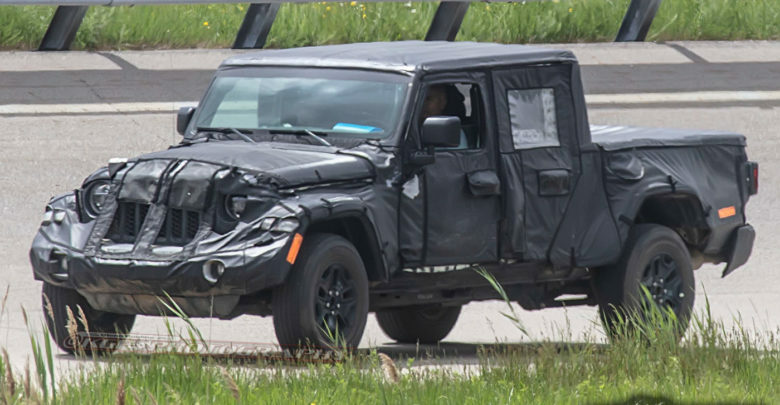 Key portions of the 2020 JT Jeep Scrambler prototype’s camouflage have been peeled back, partially revealing the grille, headlights and uncovered taillights of the upcoming Jeep pickup truck. 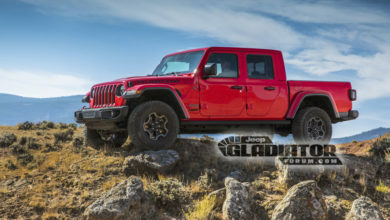 The Scrambler pickup’s fog lights now are uncovered, and it looks possible that the front bumper could have some different styling nuances compared to its Wrangler counterpart. 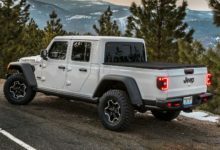 The uncovered tail-lights now give us a better idea how the Wrangler-inspired rear lamps interact with the Scrambler’s unique rear fenders and tailgate necessitated by its pickup truck design. 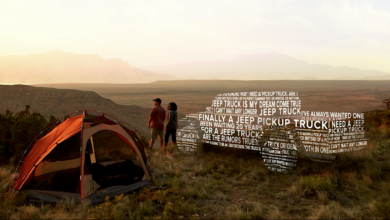 Per a recent FCA dealership meeting, the Jeep Pickup is expected to hit dealers as soon as April 2019. 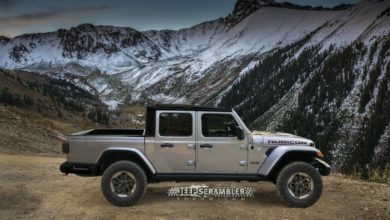 See the 2020 JT Jeep Scrambler photo gallery in the forums.